Pristine Home offers a whole range of cleaning services to meet the demand of Engadine residents and businesses. We have more than a decade of experience in the cleaning industry and have served hundreds of homeowners needing regular and one-off cleaning for their houses. Our team of professional cleaners are knowledgeable of the appropriate methods and cleaning solutions that should be applied to get the job done correctly. The best part of our service is our cleaners’ immediate availability. You can book a cleaning appointment today, and have a team of cleaning technicians come to your home as early as the next day. Cleaning chores can easily sap your energy, and take your time away from other important aspects of your life. If you are struggling to balance your time between working full-time, attending to the needs of the kids, and maintaining cleanliness in the house, then scheduling a regular home cleaning is your best option. At Pristine Home, we take care of vacuuming and mopping the floors, de-cluttering the living space, and wiping down dirty surfaces so you can come home to a relaxing place that is free from allergen. The rules of end of lease cleaning are strict because landlords need to ensure that the property will be restored to its original condition, minus normal wear and tear. As such, you must do a stellar job in cleaning the place and fixing any changes you made within the property. To help you move out with ease, we provide end of lease cleaning that focuses on detailed cleaning of the bathroom and kitchen. We will also sweep all floors, remove cobwebs, scrub bathroom tiles and toilet bowl, and clean sinks and countertops. If you live in an apartment, you probably know the constant challenge of keeping even the smallest space clutter-free. Let Pristine Home take the stress of apartment cleaning off your shoulders. We will deep clean the closets, wipe appliances, disinfect surfaces, wipe up counters, fluff pillows, and sweep up dust balls. Moving out of a rented property goes beyond packing your belongings and finding a new place to live. You are required to perform a deep clean of the rental if you want to ensure that you will get your security deposit back. If you feel overwhelmed with all the tasks you need to accomplish before the final inspection, call in the expert cleaners at Pristine Home. We take care of dusting the living areas and bedrooms, cleaning out cabinets, scrubbing toilets, bathtub and shower, and wiping down baseboards to make the place look presentable to your landlord. Your bathroom sees a lot of use and it can be difficult to keep up with the buildup of mildew and soap scum in this part of the house. We can help make your powder room spotlessly clean with our comprehensive bathroom cleaning service. Our dedicated cleaners will remove dust from room corners, wash the floors, dust window sills and door frames, and disinfect the toilet, just to name a few. Your home is supposed to smell fresh and look clean. But after the many layers of winter, it can be difficult to remove dirt buildup and to organize clutter on your own. Luckily, you have the choice to outsource spring cleaning and let the experts take over the big tasks for you. Our cleaning technicians will perform a massive cleaning of work surfaces, wipe light switches and doors, dust room corners to remove dirt and cobwebs, and disinfect cabinet handles. Relocating to a new home is an exciting experience. But it can also be overwhelming because of all the tasks you need to accomplish, such as organizing your things and broom cleaning the place. We can help with your move out/ move in cleaning needs so you can focus on other important aspects of moving out. At Pristine Home, we believe that quality cleaning services should be priced just right, which is why we set our rates based on the current pricing of other cleaning companies in Engadine. How’s that for value-for-money! Ready for Your Cleanest Home Yet? To book a home or office cleaning with us, simply visit our website to book a cleaning appointment, approve the instant quote that will appear, and let us take care of the rest for you. The process of booking a cleaner only takes 60 seconds or less! 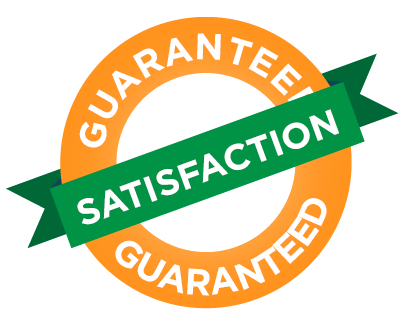 We take pride in providing a 100% satisfaction guarantee that will give you peace of mind in hiring our cleaning services. If you are unhappy with our service, simply inform us and we will resolve the issue with no additional cost. Cannot Find the Time to Clean? We Can Help! Keeping clutter at bay is a constant challenge when you spend most of your time at work, and barely have any extra time left to vacuum the floors and wipe dirty surfaces. What’s even worse is when you have to do a deep cleaning of the house on your free day. Good thing Pristine Home offers a whole range of cleaning services that are designed to help busy homeowners maintain a tidy home. 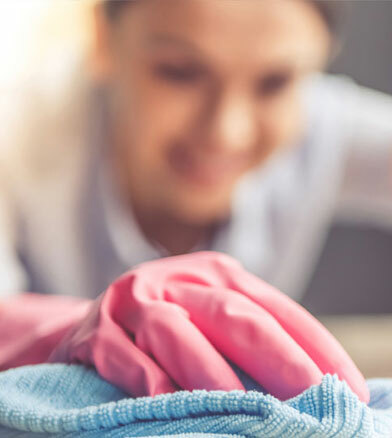 As a trusted provider of home and workplace cleaning services in Engadine, we help you achieve a spotless clean house that is free from dirt and bacteria. Why Is Pristine Home The Best Choice? 10 Years Experience: We’ve been operating in Engadine and the surrounding suburbs for 10 years now! Need a cleaner for your office or home? Booking a cleaner for your home or business property is simple. Use our website to choose from a wide range of services we offer in Engadine. Approve the quote displayed and in less than one minute you’ll be set for us to make all the other arrangements. Have you hired cleaners that either arrive late or don’t show up at all? Our cleaners run on time and turn up for every appointment. We receive 5 star reviews from our customers and are well known for our premium 5 star service. We build positive relationships with our customers that stand the test of time. Our customers book us time and time again because they trust us to continue our great work. Our customers continue to give us great reviews for the quality of our cleaning service, and for the professionalism of our cleaning team.